Seasonal work in retail is an ideal way to make some extra money for a few weeks and, if you’re looking to pursue a career in retail, it’s often a good way to get your ‘foot in the door’ and to prove your worth. 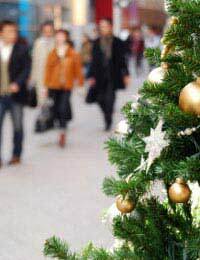 In retail, the word ‘seasonal’ generally tends to equate to the busy Christmas period. For many stores, they will tell you that they actually generate somewhere between 25% and 50% of their total annual sales over the Christmas period and this will usually take into account a period that runs from the last week in November until the end of the January sales around the end of the first week in January. In many instances, therefore, retail companies will be looking for staff who can give a commitment for up to 6 to 8 weeks. Of course, there are other seasonal opportunities available. Places like theme parks will obviously contain a retail element to them and so the summer school holidays are also another opportunity to find a temporary seasonal job. In fact, any time the kids are off school, is often a good time where they’ll need extra staff. Although the internet has revolutionised the way people tend to look for employment these days, the best way to find a seasonal job is to actually walk around the high street or shopping mall and look in the shop windows. Many companies – smaller ones in particular – will simply put a poster or notice up in the window saying ‘help wanted’ or something similar. Alternatively, if you want to be even more pro-active and there are specific stores you’d like to work in, simply walk in and ask a member of staff if there are any seasonal vacancies. Don’t ignore the internet entirely as companies will still recruit for seasonal staff on the web too and also check out the classifieds in your local newspaper. In many towns and cities around October/November time, several stores may join forces and hold seasonal jobs fairs so keep an eye out for those as well. Assuming that you’re looking for work over the Christmas period, anytime from mid-October onwards is a good time to start looking for seasonal retail work. Companies need to be able to plan staff rosters for the busy Christmas and New Year period several weeks in advance so the earlier you show interest, the more chance you have of getting a job. You need to be prepared to be very flexible when it comes to seasonal work. Some stores stay open even later over Christmas and many stay open 24/7 so you may need to be prepared to work shifts. You’ll also need to be a quick learner and be prepared to learn the ropes ‘on the fly’ so to speak as stores will often be that hectic that there will not be sufficient time to put you through a proper induction programme. Also remember that you may be called upon to work during periods where many people will be enjoying the festivities. Are There Any Jobs Away From The Shop Floor? Yes. Stores will want to be fully stocked to meet demand over the Christmas period so there will usually be plenty of opportunity for you to work in stock rooms and warehouses, picking and packing and helping to get the goods out onto the shop floor or preparing them to be dispatched by post to customers directly. Some retail call centres may also need extra staff at this time to cope with the increase in sales and customer service calls. Seasonal work in retailing is an ideal way for you to make some extra cash and often when you need it most – i.e. at Christmas. It’s also a good way of getting your foot in the door and impressing companies if you are looking for more steady employment in the future. Just remember, however, that it’s usually hectic and flexibility, the ability to learn quickly and having a cheery disposition are all qualities that will be needed.